[toc]In itself, gas is not defined as an illness. Instead, it is said to be an indicator of another health problem. At times, this problem is embarrassing and annoying as well. There are a number of reasons why gas forms in the stomach like excessive stress, consumption of spicy foods, too much intake of alcohol, digestive disorders, improper chewing of food and some bacterial infections. Lack of appetite, pain in the stomach, bad breath, abdominal bleeding, belching and coated tongue is some of the symptoms of stomach gas. 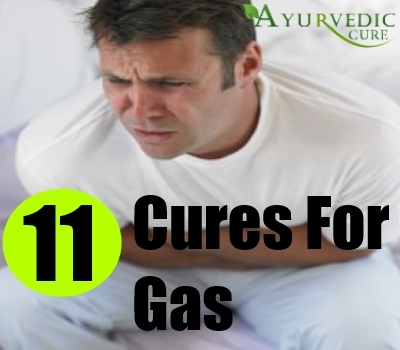 You don’t need to panic when suffering from gas because there are simple and easy natural remedies that can be followed. Some remedies from the kitchen can do the trick. Typically used in an indigestion treatment, ginger can also be used for relieving gas. 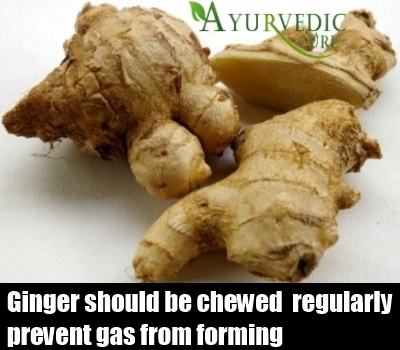 Ginger should be chewed by people regularly after meals to prevent gas from forming. Your food can also be added with small amounts of fresh and dried ginger. Another great way of controlling gas formation in the stomach is to drink ginger tea. Take a pinch grinded ginger should be boiled in water to make this tea. It should be taken twice or thrice a day. Any kind of carrier oil can be mixed with a small spoon of ginger oil and then rubbed on the stomach. Stomach gas, cramping and indigestion can be helped with caraway seeds. Proper digestion is stimulated by when caraway seed concoction is taken regularly. Take about 100 ml of hot water and add one teaspoon of caraway seeds to make the tea. Steep it for a few minutes after covering it. The tea should be consumed before having dinner or lunch after the seeds has been strained. Take it thrice or four times daily for better results. 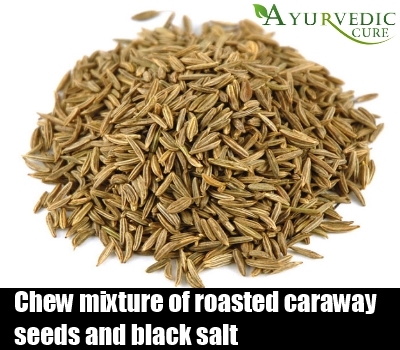 Relief can be sought by chewing caraway seeds that are roasted and then mixed with rock or even black salt. The gastric fire can be stimulated by the intense heat of garlic and this can relieve stomach gas. 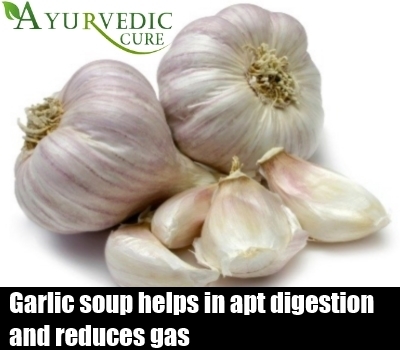 Garlic soup helps in apt digestion and reduces gas. Fresh garlic is recommended for better results. Also, people can boil some minced garlic for some time in water and add cumin seeds and a small amount of black pepper to it. This mixture should be allowed to reach room temperature after straining it. Better results can be obtained in a week if this solution is taken twice or thrice daily. A food that can provide relief from gas and bloating is fennel. 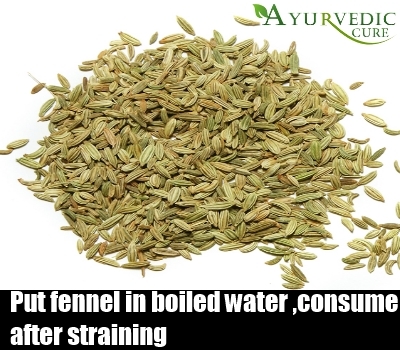 Take a pot of hot water and put some fennel seeds and it should be boiled on low temperature for 5 minutes to treat stomach gas. The solution should be consumed after straining. If people can bear the taste, they can chew on it. Another concoction can be made for treating stomach gas that involves mixing mint leaves, cardamom and fennel and boiling them in water. Keeping fennel seeds in the kitchen is therefore a good idea. The gas problem can be treated with peppermint in a couple of ways. 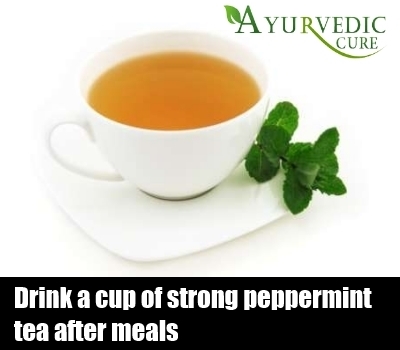 People can get respite from the problem by drinking peppermint tea, which is good for the stomach. Take some boiling water, add some fresh peppermint leaves to it and steep it for several minutes to make the tea. Strain this herbal tea and add honey to it. Take it twice or thrice a day. 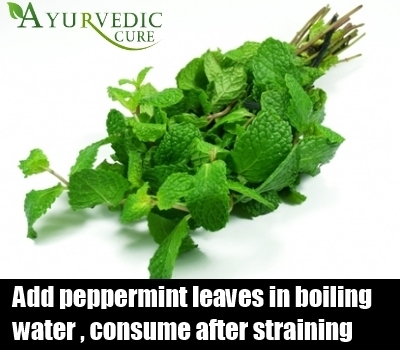 Get relief by chewing some peppermint leaves. People can also drink a mixture of 1/2 cup water added with two drops of peppermint oil twice daily. People can get relief from stomach gas and speed up the digestion process with this kitchen spice. Before cooking, people can add some roasted cardamom powder to rice, lentils or vegetables. 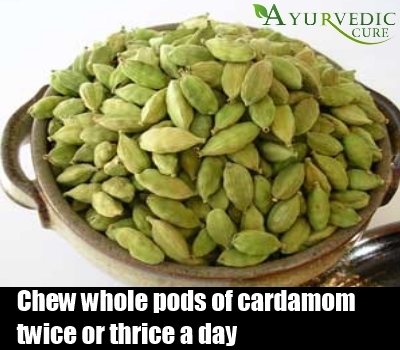 The problem of stomach gas can also be resolved by chewing whole pods of cardamom twice or thrice a day. Take a teaspoon of fennel, a small slice of fresh ginger and a few pots of cardamom should be boiled in water for several minutes to make a tea. This warm tea should be taken few times daily. 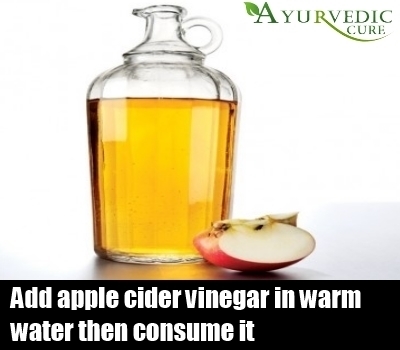 Gas issues can also be treated with apple cider vinegar, which is used in indigestion. To a glass of luke warm water, add two teaspoons of apple cider vinegar to it. Before drinking it, the water should be allowed to reach room temperature. The stomach is soothed with this drink, so the gas problem can be relieved instantly with this drink. Drinking a cup of strong peppermint tea after meals is a good remedy if you tend to have gas after eating. Discomfort can be prevented and gas production can be reduced. Organic peppermint tea is recommended. 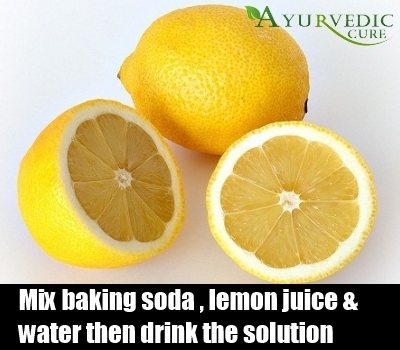 Baking soda and lemon is a conventional home treatment. Add baking soda to a glass of fresh lemon juice. Add another pinch when fizzing occurs and dissolve the baking soda properly by adding a cup of water. This drink can relieve gas. Taking a glass of water and adding some soda can provide instant relief too and works as an anti-acid. Another remedy here is asafetida. 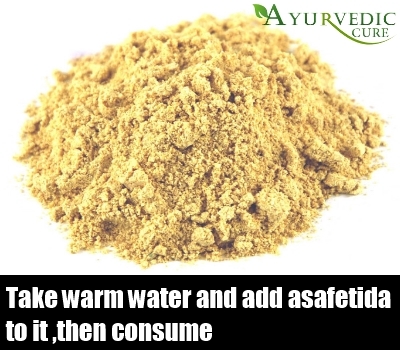 Take warm water and add a pinch of asafetida to it. It should be taken twice or thrice daily. Add a little water to form a paste. This should be applied to the stomach for relieving gas. People can also add a bit of asafetida to a banana and eat it twice daily. Gas can be instantly relieved with cinnamon. 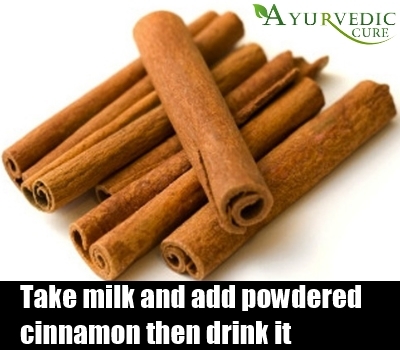 Take a cup of warm milk and add a pinch of powdered cinnamon. Before drinking it, mix it well and add some honey. Add some cinnamon powder to boiling water to make cinnamon tea. Drink it after it has steeped for some minutes. The stomach is soothed and gas can be prevented. Smaller yet more frequent meals should be consumed. Eat slowly and chew the food properly. Sit straight after eating and take a stroll. Physical activity should be increased and beverages should only be consumed at room temperature.